Did I mention John Williams scores (Indiana Jones), Alan Silvestri in BTTF. Plus another Charlie Sheen movie, Navy Seals, with Moroder/Whitlock in Mr Big songs. But it was until 1990 if I remember correct. Was there any other Kenny Loggins performed songs in the 80's soundtracks? Or other Moroder/Whitlock -composed songs? I was thinking that the Go West tune could be a good one. I love the Navy Seals soundtrack, i have the lp and the cd version. Kenny Loggins did also the Caddyshack II theme "Nobody´s Fool"
The song´s included also in his fantastic "Back to Avalon" (1988) album. king of wishful thinking is a great tune. i'm not a fan of the movie, pretty woman but i guess it did have some good songs in it. i watched ONCE BITTEN last night so now am listening to the soundtrack. 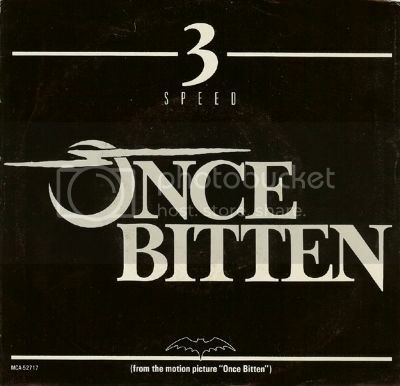 i love the songs by 3 speed, once bitten & stop talking about us..
and i remember them doing other songs for other soundtracks but can't remember which ones right now. Once Bitten by 3 Speed is a great tune Ronnie! oh my stars.. i never knew there was a video! i always figured the singer was a female but i did not picture her like that at all. thanks for sharing, i loved it! and oh ya, i have the music to RAD but don't listen to it hardly ever, so i will play that at some point today! 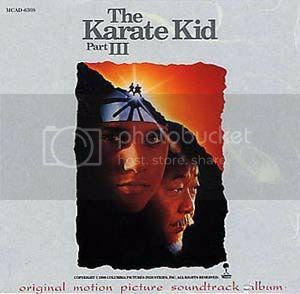 The Karate Kid III soundtrack is quite good. There´s some good songs but i like the Money Talks and Winger tracks most. 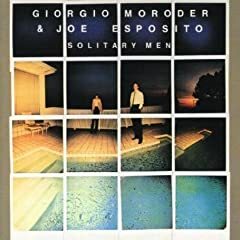 Have you heard the fantastic Giorgio Moroder/Joe Esposito album Solitary Men (1983)? These are very close soundtrack material. I haven't heard of American Anthem. Know the film only by name and seems if it has never been on VHS here in Finland? It is not an action movie so very possible that I just never noticed it. Nice soundtrack though. Does anybody know about Tango & Cash score from Harold Faltermeyer? Seems that there is limited edition of it, only 3.000 copies? It´s quite rare tape i believe. As I'm sure most people are, I'm a huge fan of the Beverly Hills Cop Soundtrack, but I have a question. Where in the world is Gratitude by Oingo Boingo (song was released under Danny Elfman due to legal issues) in the film? It's on the soundtrack, but I didn't hear it anywhere in the film, and it wasn't in the credits at the end of the movie either. Anybody know what's up with this? so did anyone here ever score the song MY SCIENCE PROJECT by the tubes? gosh i love that song. i only have the score to the movie. does anyone remember SATISFACTION the movie? the soundtrack is ok, but does not contain the song that i love called stimulation by the group wa wa nee..which i only have an extended version of. i wish i had the original edit. Gonna see Blake Edwards film Blind Date in upcoming weekend. I'm not a very big fan of Edwards type slapstick films, but I remember one song which I must indentify. Does anybody know what song is radio playing when Bruce is getting out of bed? Very James Brown sounding song. The list of the songs is in http://www.soundtrackcollector.com/catalog/soundtrackdetail.php?movieid=1302 but I couldn't identify it there. Just bought the Footloose soundtrack lp. The guy who wrote the movie, Dean Pitchford, also co-wrote all the songs for the soundtrack. Damn i miss the times they made it this way. Kenny Loggins track "I´m Free" and Karla Bonoff cut "Somebody´s Eyes" are the best ones IMO. Great video with Virginia Madsen!! 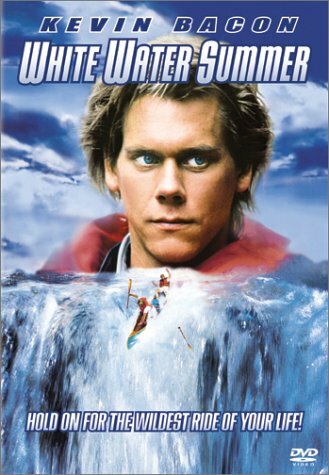 White Water Summer had a nice soundtrack. There is as well an Australian band on the soundtrack, Moving Pictures with "Never." Soundtrack Theme Night this Saturday night! Request your favorite 80s tunes from your favorite 80s movies! Wow, that MUST be worth something. I would love to own one. I have the American Anthem Soundtrack and most of the songs from White Water Summer. I found American Anthem on LP long ago. The Album isn't that great just for your info. The Demons (1985) soundtrack by Claudio Simonetti has some cool tunes. but i have this score only cd. 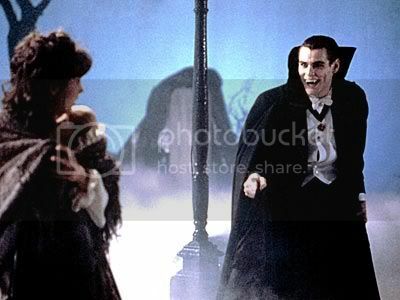 I remember loving the movie, awesome horror flick. I watched it many times in the late 80s/early 90s but haven´t seen it since. I have both Ferris Bueller's Day Off soundtrack and also Weird Science which are very difficult to find. The Malster - I can't tell you just how correct you are as I have been looking for both the soundtrack to Weird Science and Back To School for upwards of 15 years or more! Granted, I don't think my search was ever full-tilt, but I always had my eye out at conventions, shows, flea markets, etc. and the occassional light ebay search. What is the playlist like? I remember Tenderness, Weird Science and maybe that it even had Eighties on it, but can't remember much else...anyways, very cool indeed! Running Scared has a good soundtrack. Rod Temperton did some good tunes for Klymaxx, Michael McDonald and Fee Waybill. I also like the New Edition, Patti LaBelle and Kim Wilde tracks.